We have been making our almond English toffee for over 20 years. It started as our Christmas gift to family and friends but we had so many requests we decided to offer it to the local public. Our toffee is made with only the highest quality ingredients including butter, sugar, raw almonds, and milk chocolate. Each batch is cooked and boxed by hand. 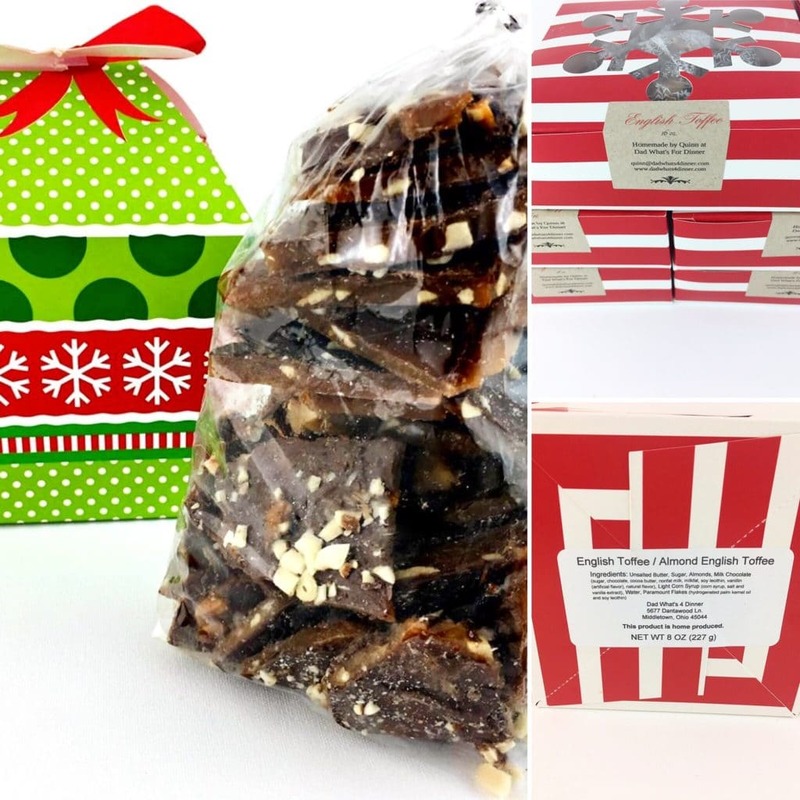 The almond English Toffee has a rich sweet buttery taste and crunch that is craved every holiday season. A wonderful gift for family, friends or employees. 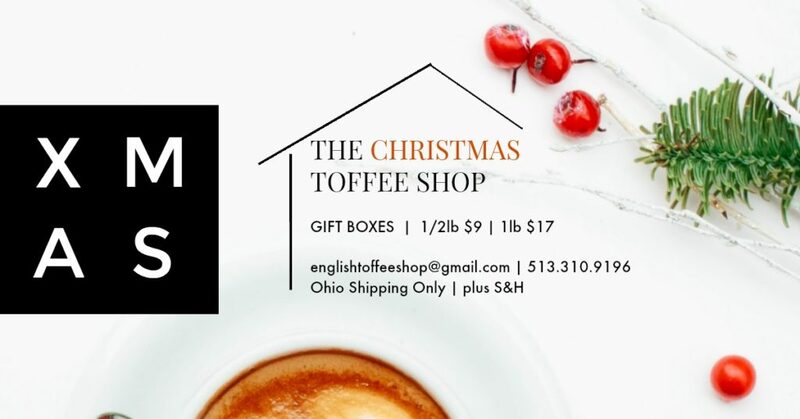 As we are a cottage industry we can only ship in Ohio at this time. Contact us for shipping and payment information.